Members of Penn State’s Center for Pollinator Research, including Project ICP researcher Dr. Shelby Fleischer, and the Penn State Extension Vegetable and Small Fruit Team have collaborated to produce a five part series of Extension articles describing pollinators, pollinator threats and on-farm conservation strategies, including two articles on pesticide stewardship for pollinators. The series was published between February-October 2015. 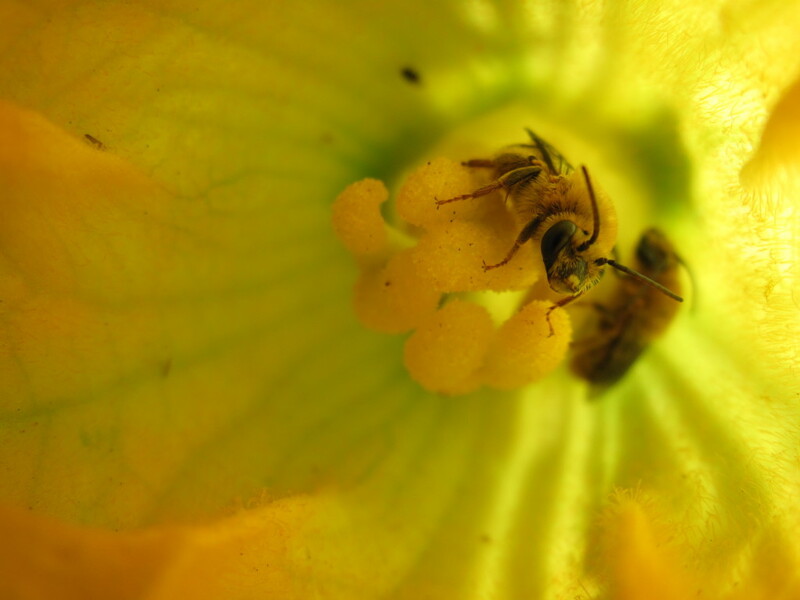 Squash bees (Peponapis pruinosa). Photo: Katharina Ullmann.